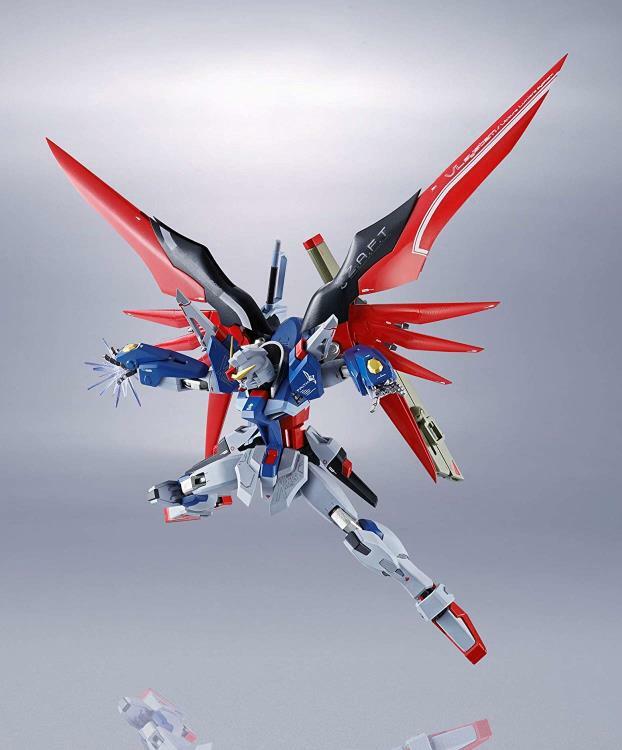 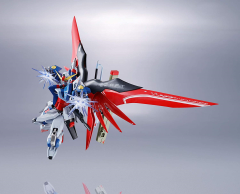 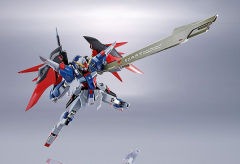 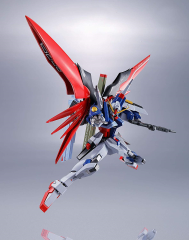 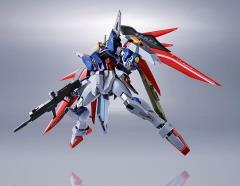 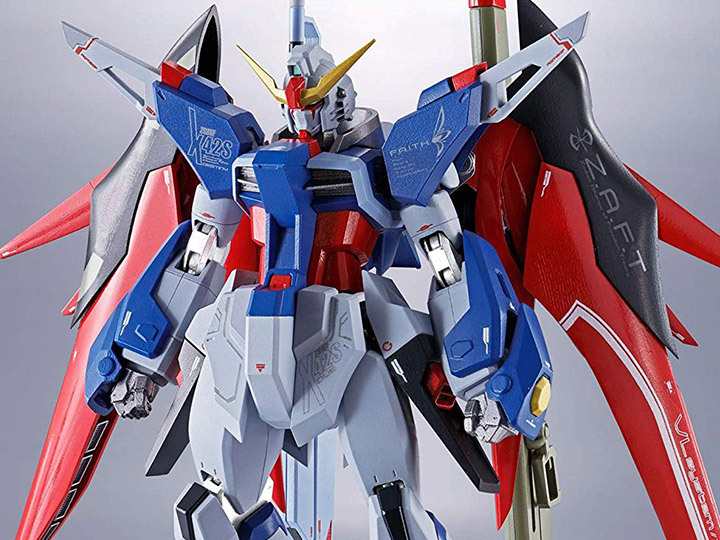 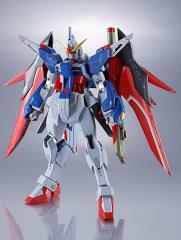 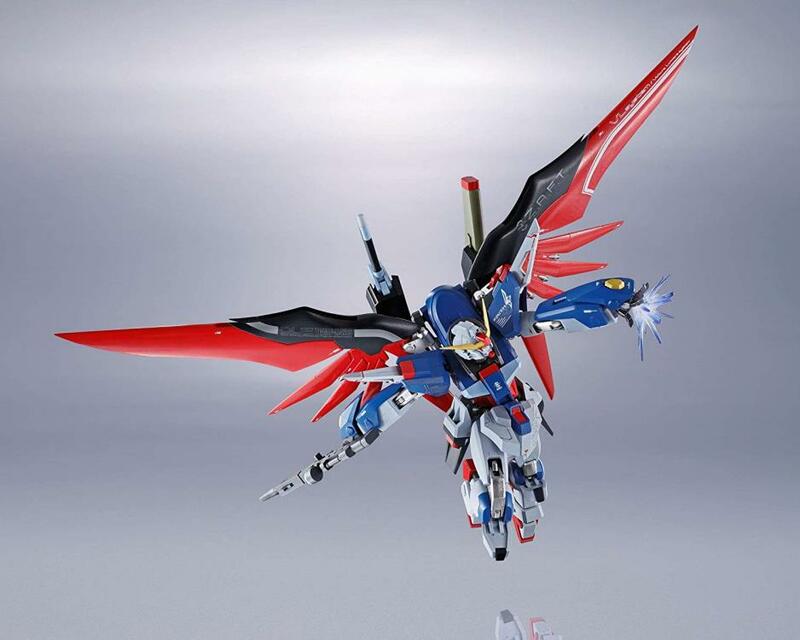 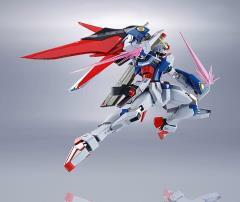 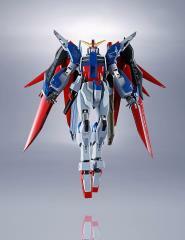 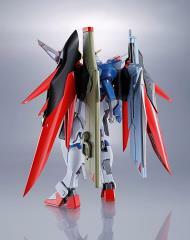 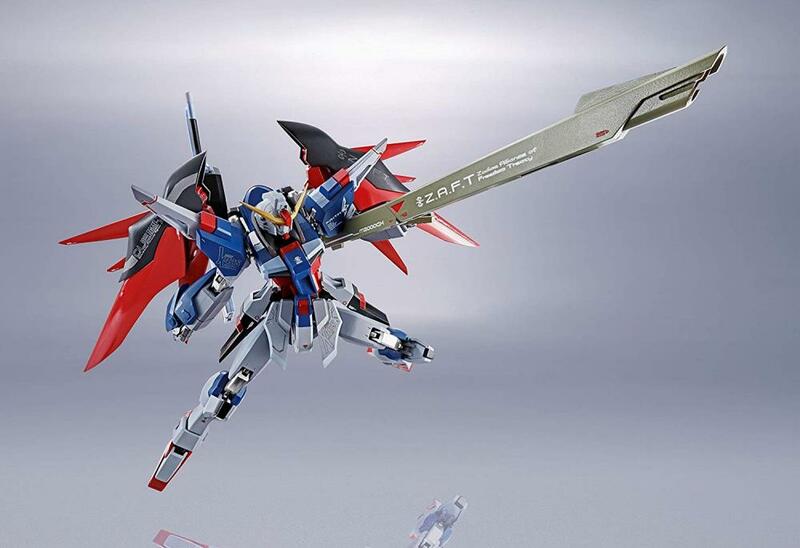 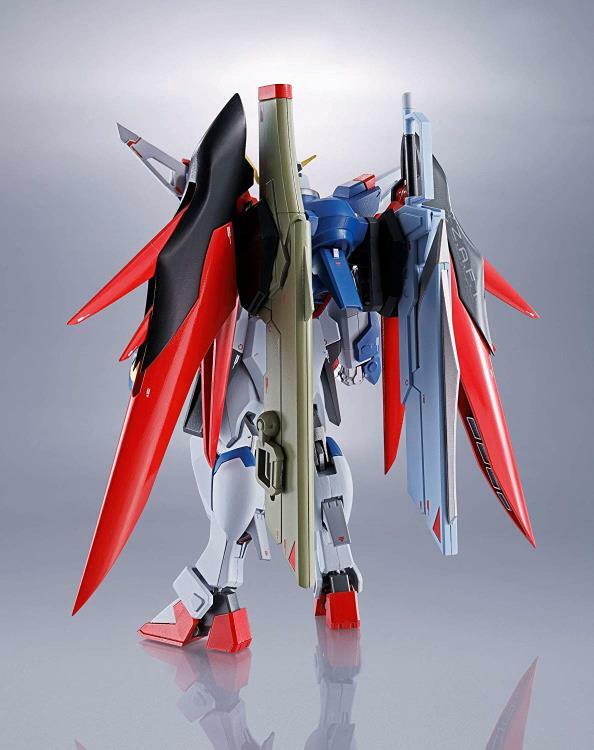 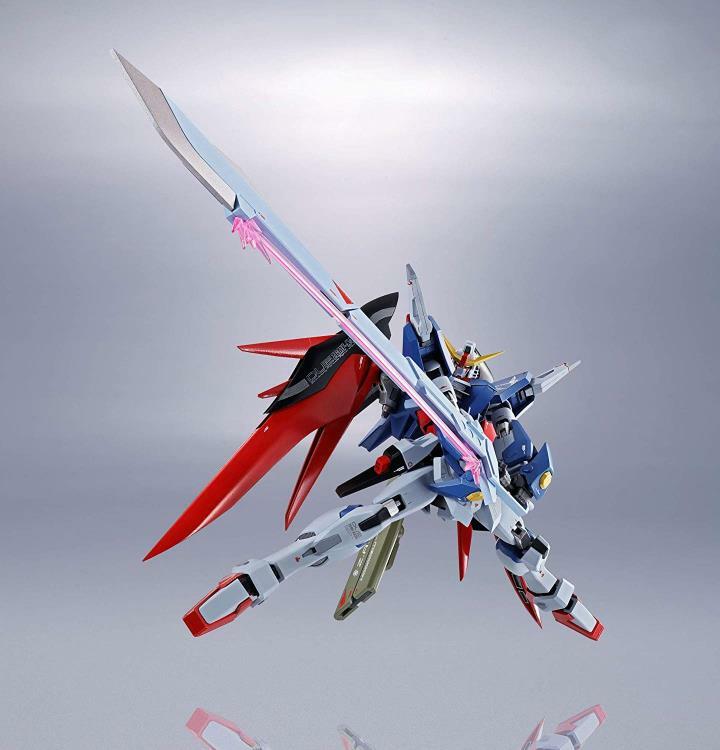 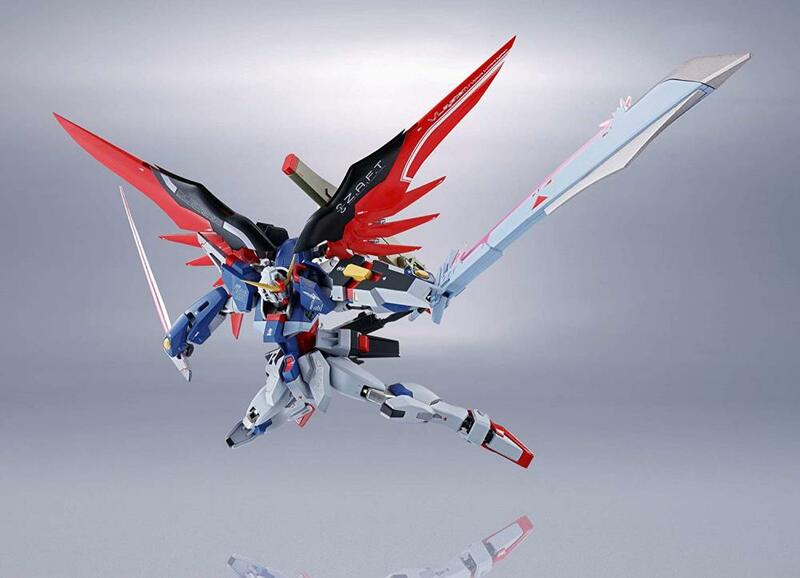 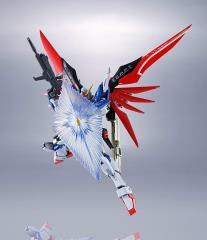 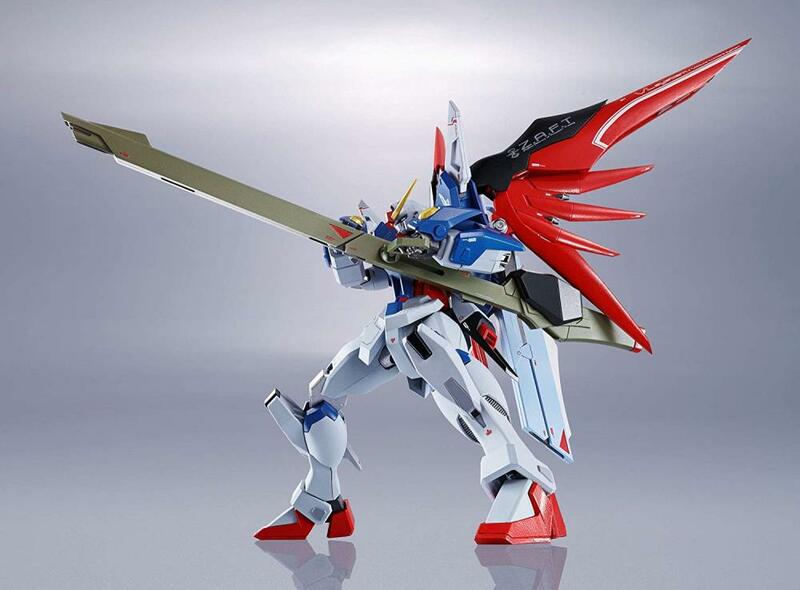 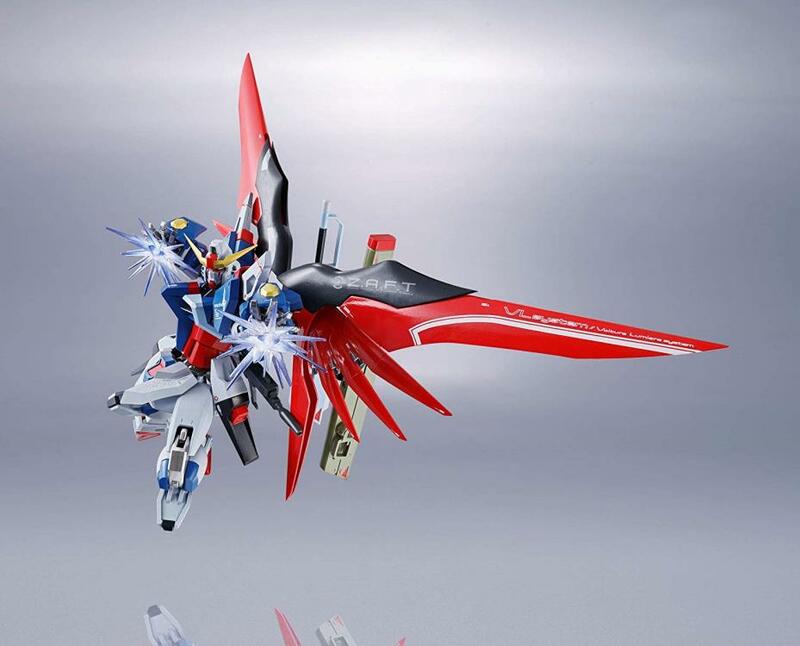 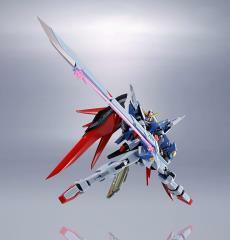 Bandai's newest Metal Robot Damashii is the Destiny Gundam from "Gundam Seed"! This dynamic action figure features parts made from PVC, ABS and even die-cast for a high quality look and hefty feel. 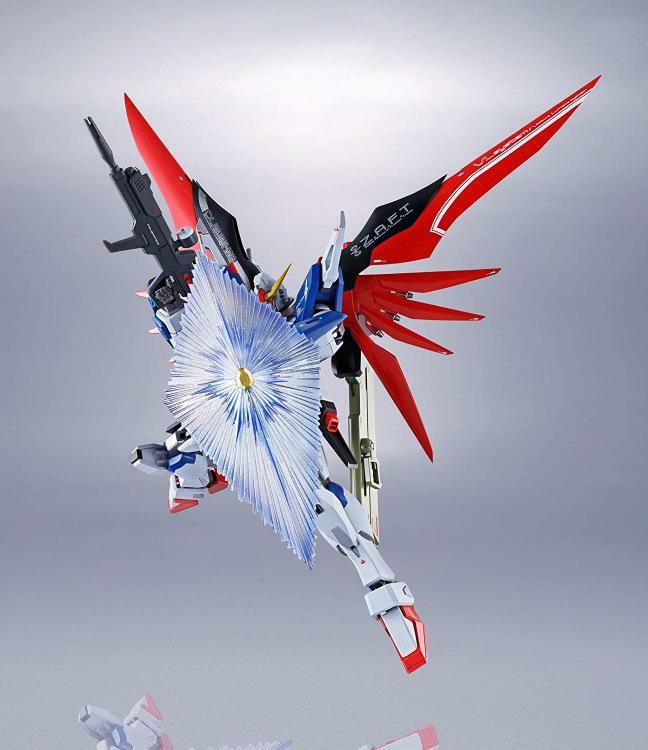 It comes with effect parts for the Destiny Gundam's Palma Fiocina attack, as well as plenty of other weapons and effect parts.